For those of us who frequently use Google Drive, and who wish to “live in the cloud” more and more, there is one feature that has been glaringly absent from Gmail. That is the ability to attach files to an email message directly from Google Drive. Google Drive allows you to store any sort of file including Google Docs, Word documents, PDF files, and more. However, if you wanted to attach a file from Drive to an email you had to jump through the hoops of going to Drive, locating the file, downloading it to your local computer, then attaching it to the email you were sending. There was no way to attach directly from Drive to your email and stay entire in the cloud. Until now. Well sort of. 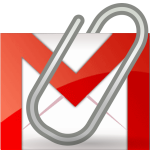 Gmail now allows you to include files from your Google Drive in any email you send. I say “include” though, because it really isn’t an attachment. 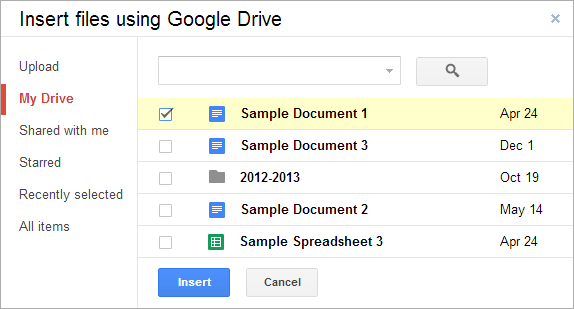 Instead what you are able to do now is include a link to any file from your Google Drive. It may look like an attachment but the file is not really being sent to the recipient. They are simply getting a link back to the live file that you have stored in your Google Drive. This is a very different “in the cloud” way to handle sharing files, rather than sending actual attachments, and it has its pros and cons. If you make changes to a file after sending your email, no problem. Since the recipient is just getting a link to file, when they click the link they will be opening the live, up-to-date version of your file, not a static copy. However if they wish to download a static copy of the file, they certainly can do so after opening the link. Also, because you aren’t really sending the file in the email message, you can share files up to 10 GB in size, which is far larger than any attachment you could ever send. Finally, because you no longer have to upload files from a hard drive, this makes it easier to use email on devices that don’t have much storage or on which you do not have permission to temporarily save files. Sometimes you may want to just send a static snapshot of a file, and not give the recipients a link to your ever-changing file. In such a case you would want to use the old attachment option. Also since you are only sending a link to the file, if you decide to delete the original file at some point, your recipients will no longer have access to the file (unless they had already made a copy or downloaded a static version of the file). In the end this new feature actually makes more sense than what many of us were requesting. Rather than just let us attach files from Drive, Google is trying to redefine the workflow of documents and move us a little further into the cloud and collaboration. First you have to be using Gmail’s new Compose window. If you have not switched over to the new format, when you go to send an email you should be able to click “Try out the new compose experience” at the top of your current compose screen. So assuming you are using the new Compose option, just go ahead and start a new email message. At the bottom of the Compose window will be a tool bar. If you hover your mouse over the toolbar it will expand to show several buttons. If you want to attach a file the old fashioned way (by uploading it from your hard drive) you can click the normal paperclip button. But next to that you will see a Google Drive button. Click this to insert a file from your Google Drive. This will open up a window where you can browse through your Drive to choose a file to insert. Simply check the file (or files) you want and click “Insert”. The file will now show up at the bottom of your email, so you can click “Send” when ready. However when you do click “Send” here is where things get different from a normal attachment. 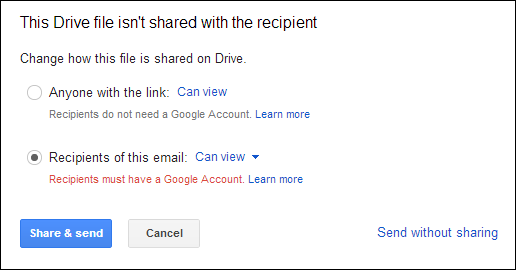 This is because you are not really attaching the file to the email, but instead you are simply sharing the file using the normal file sharing options in Google Drive. Because of this you will get a pop-up window asking you to change the sharing permissions on the file to your recipients can access the file. If you are familiar with sharing files in Google Drive, this will look very familiar. You have the option to share the file with anyone who has the link, or with just the recipients of the email. You also have the option to give them view only rights, or comment rights, or edit rights to the shared file. When done you can click “Share & send”.